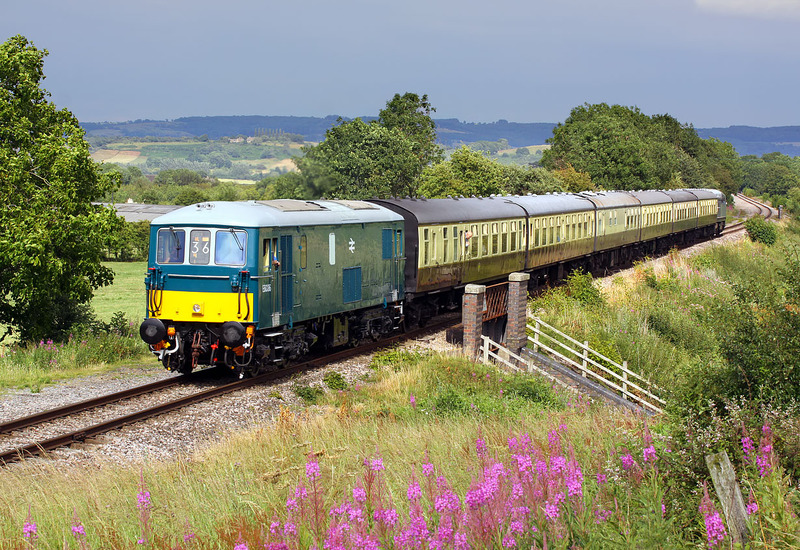 E6036 passes Prescott with the 16:15 Winchcombe to Cheltenham Racecourse service on 9 July 2011, during the Gloucestershire Warwickshire Railway's Diesel Gala. D8137 can just be seen on the rear of the train. This brief and very localised (look at the background) patch of sunshine was unexpected, and although a welcome change from the drabness of the rest of the day, the angle of the sun is a little too head on for my liking. However, the Rosebay Willowherb in the foreground does improve the picture.